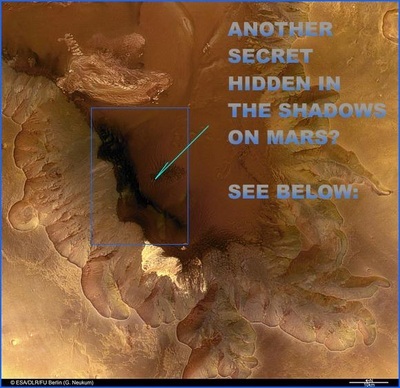 Mars / 1 -  An epic journey of new discovery so fantastic that our natural instinct would be to block it out. 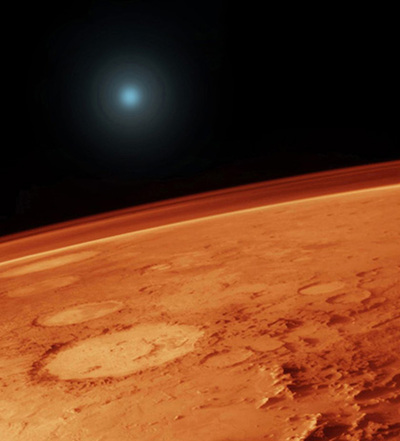 It is often called the red planet because iron oxide on its surface gives it a reddish color. Mars has similar seasons to those we have on Earth (because its axis has a similar tilt as Earth’s), except that the seasons last about twice as long. 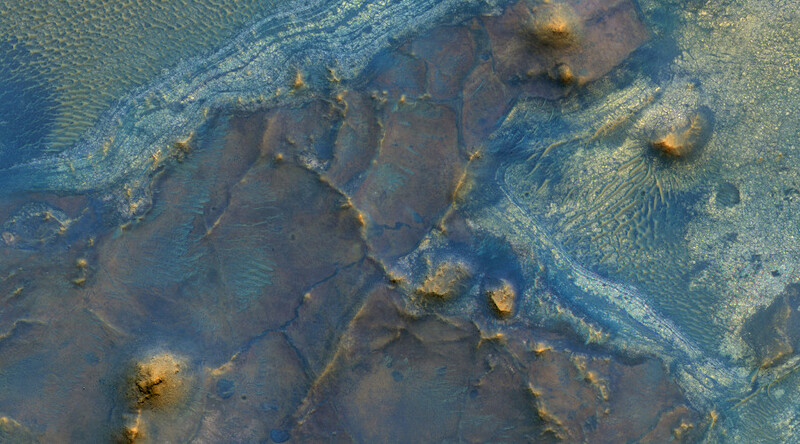 A year on Mars, or one complete trip around the Sun, also takes Mars about twice as long as Earth - 686 days. 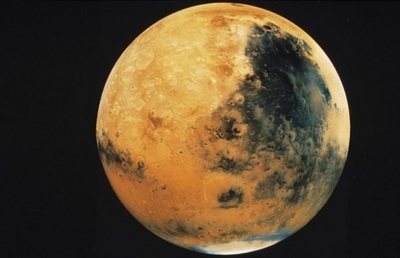 It is believed that Mars once supported water and oceans on its surface, but now there is only ice at its polar ice caps. 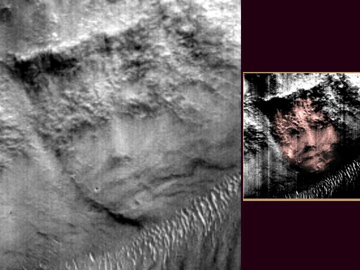 The “Face on Mars” is one of the great modern mysteries about Mars. The “Face” first came to our attention 38 years ago, and debate about what it is has raged ever since. The Viking spacecraft reached Mars in July of 1976. It had two missions. One was to send a lander down to inspect the surface of Mars. The other was to orbit the red planet, within a 1,000 miles of the surface, and take thousands of pictures to help to determine the best landing site for the Viking 2 spacecraft due to reach Mars in a few weeks. 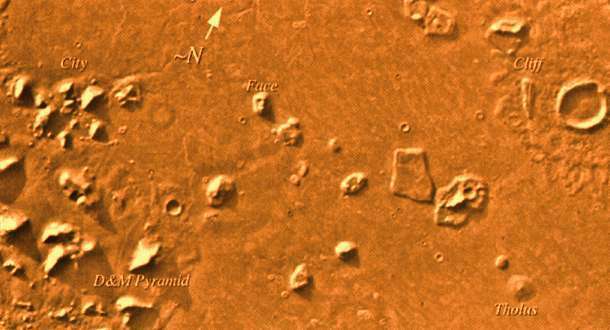 On July 26, 1976, during Viking 1′s thirty-fifth orbit of Mars, a set of photographic images arived at the Jet Propulsion Laboratory in Pasadena, California. 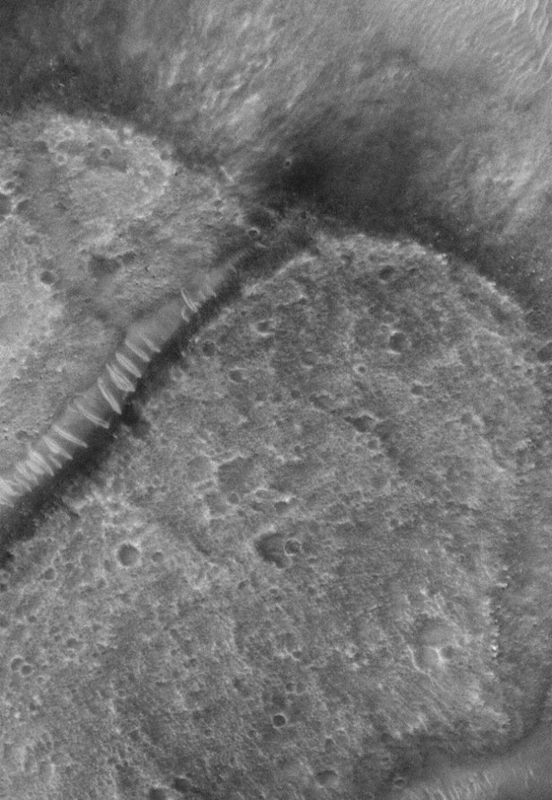 One of the photographic frames, taken in the northern desert Cydonia region, showed a mile long, 1,500 mesa that looked like a humanoid face. A. A striking pattern of light and shadow cast by hills in the area. B. 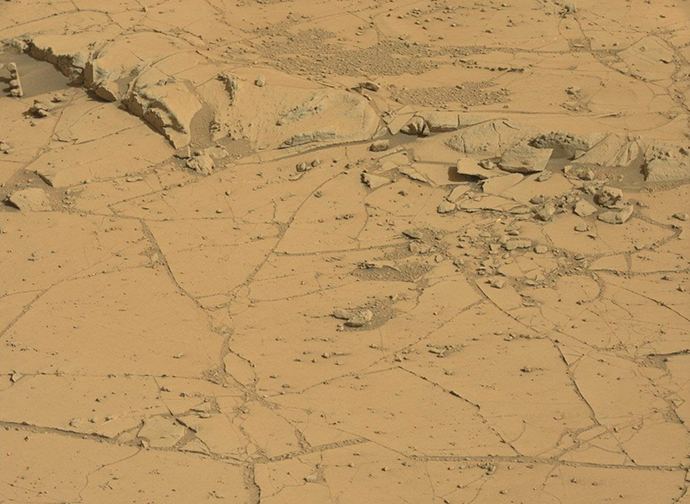 A sculpture carved by sentient (intelligent) Martians. 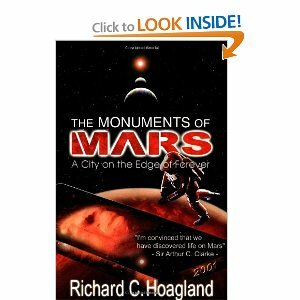 A key member in the opposing camp is lead by Richard Hoagland, a former member of the JPL press corps, and the author of “The Monuments of Mars.” Hoagland has led a long investigation into the Vking data. He and his team have analyzed different photographic frames, taken at different angles, weeks apart. He claims that he and his researchers have considerable evidence that the “face”, as well as some nearby pyramid-shaped objects and other “artifacts,” are the work of sentient creatures. According to Hoagland, he saw that the face “…had features which were humanoid, and it seemed above chance that it also had the right proportion.” It was at this point that Hoagland began to consider that the face might have been constructed by intelligent beings. 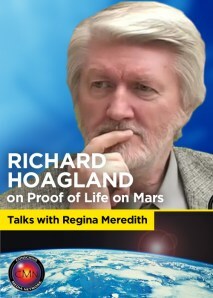 By 1983, Hoagland came to be convinced of the face’s intelligent origin, leading to his fifteen year quest to “prove” the face on Mars is proof of intelligent life on Mars, as well as to try to get NASA to a send a photographic mission to Mars with the primary purpose to get new, better shots of the Martian face. 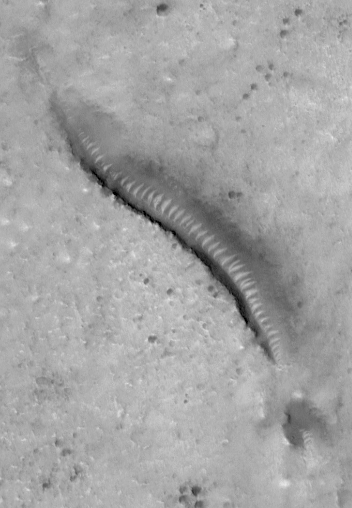 Powerful telescopes from a spacecraft orbiting Mars have found new evidence to prove the existence of life on Mars. 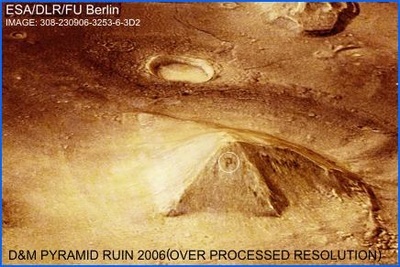 Telescopes took pictures of nine pyramids on the surface of Mars. 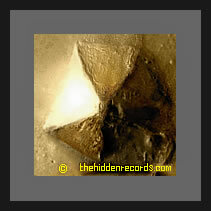 The pyramids, as it seems, are not of the natural origin. The images include striking statues of human and animal faces, clearly visible from space, as well as large drawings featuring the profiles of primates and canines. Andrew Basiago, the president of Mars Anomaly Research Society, named the discovery ‘A New Cydonia.’ The scientist believes that there were three civilizations on Mars, one of which was hidden underneath the planet’s surface. 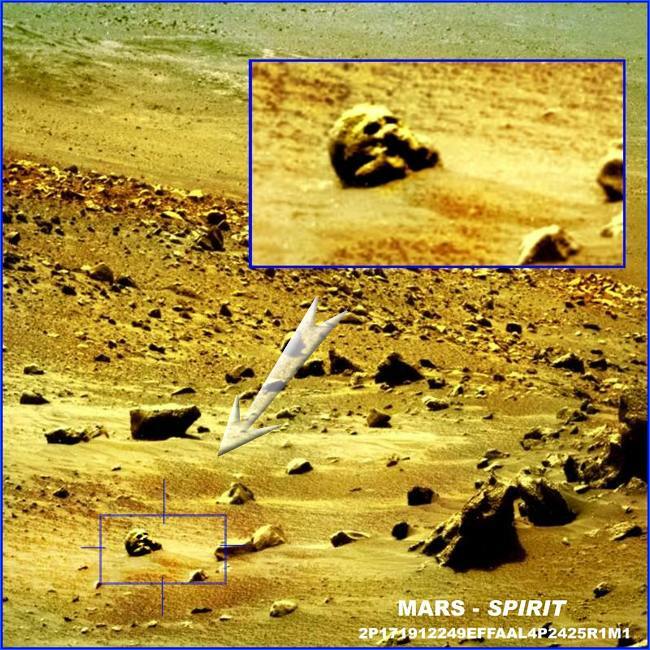 The scientist previously said that the pictures, taken by Spirit rover, contained images of five primate species, one of which he named ‘Sendak.’ Basiago is certain that Mars used to be a home for a highly-developed civilization. 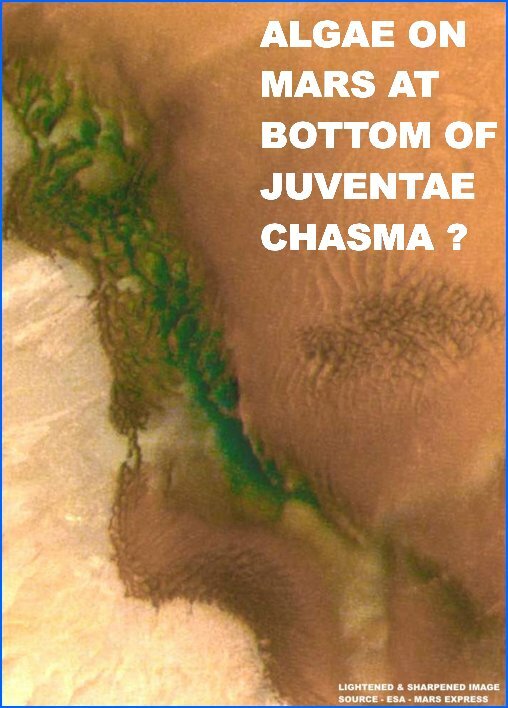 However, a space catastrophe, which supposedly hit the planet about 11,500 years ago, destroyed nearly everything on the Red Planet, as well as Atlantis on Earth. 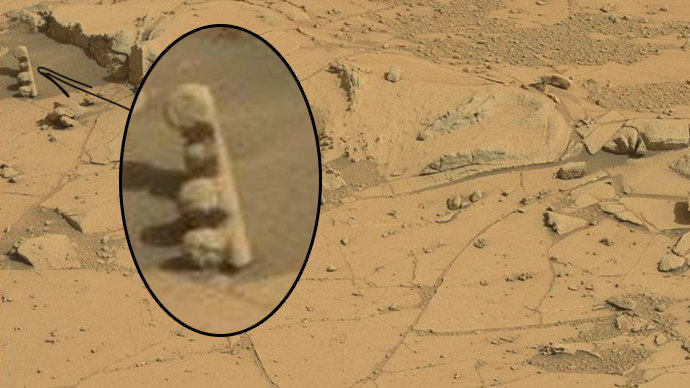 ‘Traffic light’ and perfectly-shaped ball spotted on Red Planet. With the now increased traffic in the Red Planet’s region – since India’s satellite reached Mars’s orbit Wednesday – a traffic light might just be what's been missing. And it didn't take long for one to be discovered. 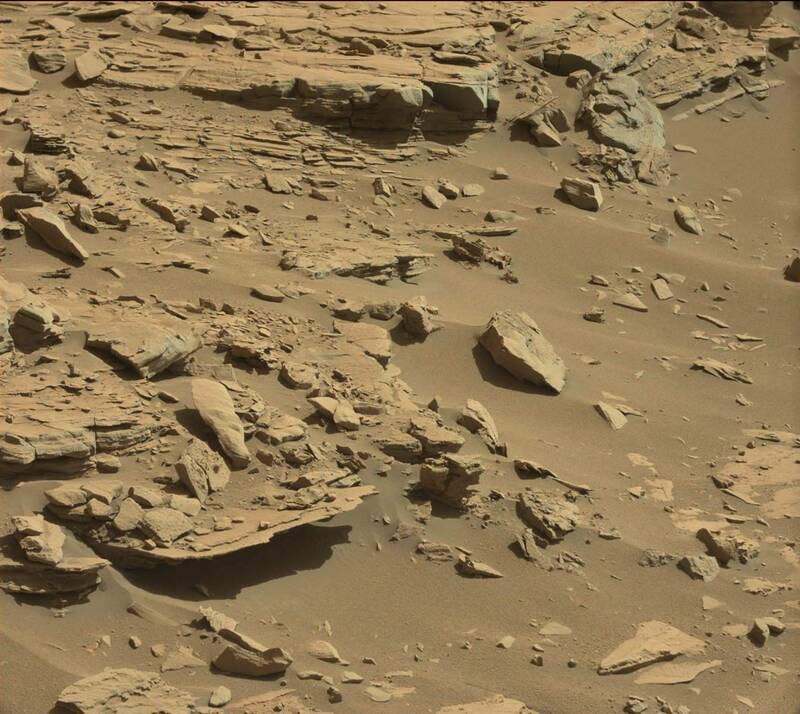 NASA’s Mars rover, the Curiosity, which has been exploring the planet for over two years, fitted with 17 cameras, sent a picture of something that looks much like Earth's traffic lights. The mobile robot submits plenty of curious pictures from the surface of Mars, which are on public display. This time it was a space enthusiast from the UK, Joe Smith, running an ArtAlienTV YouTube channel, who spotted a striking resemblance. 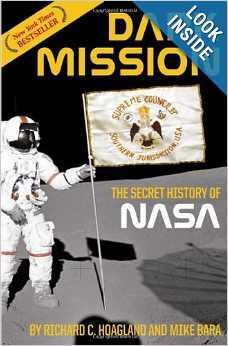 "I have been following the images from NASA since the start and I flick through them on the NASA website every day. I saw this one and I thought, 'Hang on, that looks a bit strange.' 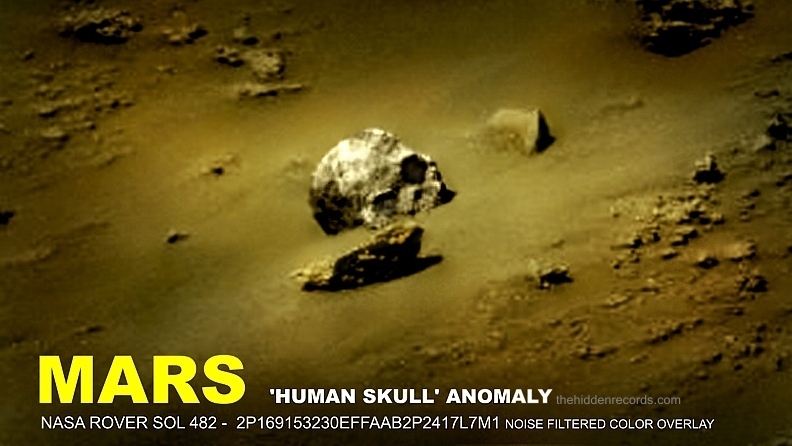 I think it looks like a traffic light," Smith said of a stack of several large rocks from the footage. "It is hard to tell how big it would be without any point of reference, but I would estimate it was about 12 inches," Smith said, adding that he “posted it on the internet and people said they thought it looked like a set of traffic lights, too." And there is also that natural perfectly-shaped ball on a flat rock surface. 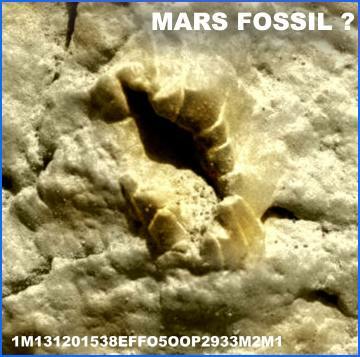 According to NASA scientists, the spherical Mars rock is not as big as it looks – it's only about two-fifths of an inch wide, and is most likely a "concretion," a hard solid mass formed by matter accumulation, Discovery News reported. The number of compelling images from the Red Planet might now increase, with India becoming the first Asian country to reach the planet. After positioning itself in the planet’s orbit, the country's Mars Orbiter Mission (MOM) satellite immediately signed up on Twitter. 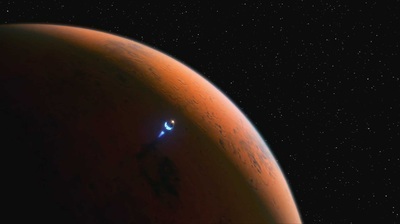 The @MarsOrbiter is already communicating with NASA’s Curiosity, and provides updates on the mission. On May 8, 2001, a press conference was held in New York City which many are calling a scientific milestone. 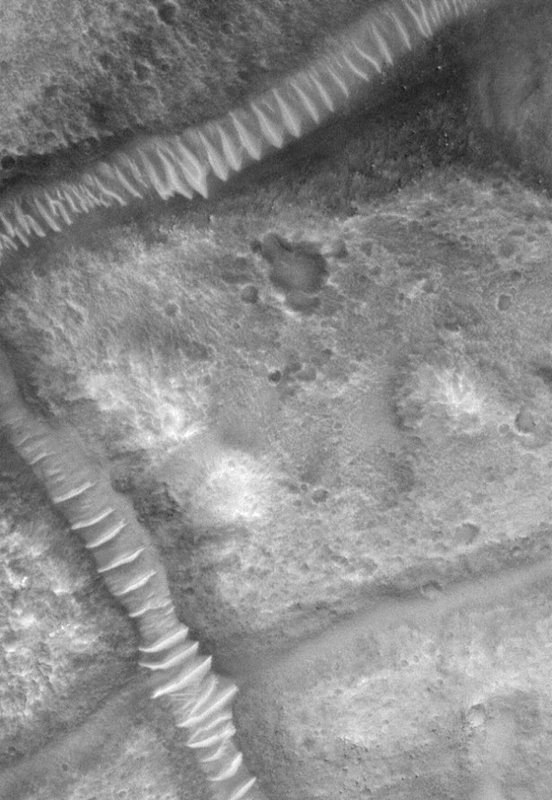 This event was held to announce the discovery of a new human-like face (photo right), strange tunnels, pyramids and signs of current vegetation on Mars from among the 65,000 recently released NASA/JPL photographs taken by the Mars Global Surveyor. 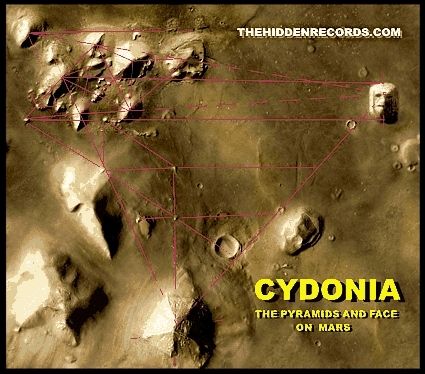 The press conference presents the extraordinary new face, which is a mile and a quarter wide and is located near Syrtis Major (about 3,000 miles from the famous Sphinx-like face photographed by NASA in the Cydonia region of Mars).